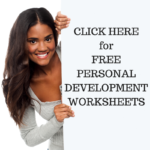 In this website we explore many different areas of personal development and self-improvement from mainstream Western to the expansive version that sits outside of social norms. After all, an important strategy is personal development is to expand the mind outside the usual way of thinking. Recently I had an experience that did exactly that… which started me deeper down a secret path. Last year I had an encounter with an Aboriginal Australian Medicine Man who had X-Ray vision and could heal. I witnessed this healing process a couple of times and it confirmed for me that what I read in books was actual fact. We have been limited by social constructs that we have forgotten we are expansive unlimited beings with abilities known by “super powers” or “siddhis”. Siddhis is the term used in India when Hidden Yogis or Yogis develop super powers. Before continuing, it’s important to note, that there are people in the world who claim to have superpowers or healing abilities but they are really there to just take your money. For instance, in Alice Springs central Australia, I was speaking to a woman at the information centre about healers in the local area. She wasn’t sure there were any left as the ancient culture for Aboriginal Australians is nearly extinct. But she did tell me that a tourist recently was “healed” by a young man who eagerly took her money. The Medicine Man I met in another part of Australia – when I asked him why he doesn’t take money – said that if he did he would lose his power. So, when you explore the area of healers and Medicine Men or even explore how you can obtain this Siddhi Powers for yourself – please remember that the true ancient culture dooes not ask money. It is our divine right to have these powers and the ancestors of the land – the ones who have gone before us and realised their powers – are the ones to work with us. And they certainly don’t require money. In order to obtain Siddhis or Super Powers you need to walk away from the world and your normal way of thinking. Your thoughts create your reality so if you’re constantly involved in Samsara (karmic patterns) and habitual ways of thinking and doing that are based in social norms – then you’ll keep creating the life you currently have. The only way to break free from this cycle is to walk away. Hence, the term “non-attachement” comes into play. This is an individual path and you can choose for yourself which way to go whether you choose to follow a religion such as become a Buddhist or a Hidden Yogi or whether you venture in Shamanism or Magick. Just remember that people have successfully gone before you. At the time of writing this blog I have consciously decided to put myself through such a retreat later this year. Here’s a great introduction video to explain more about these siddhis and why you should get super powers. A great topic to contemplate and reflect on for personal development and self-improvement… whether you believe or choose to follow this path is completely your choice. This entry was posted in Personal Development Resources and tagged how to get super powers, personal development, self improvement, siddhis. Bookmark the permalink.